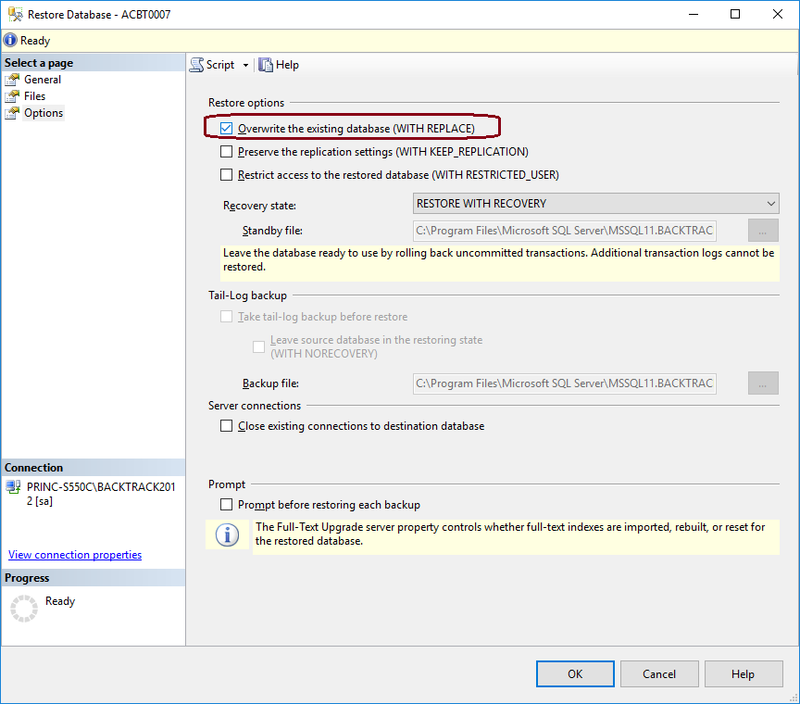 This Error Message Article explains the SQL Server error message “The backup set holds a backup of a database other than the existing database” and details how to fix the underlying problem that caused it to appear. You may get this message when restoring a database from a backup that was created from another server. SQL may not automatically overwrite the existing database unless you specifically tell it to overwrite. On the right pane of the Restore window in SQL Server Management Studio, select Options and check the ‘Overwrite the existing database (WITH REPLACE)’.